Rantapääsky (Sand Martin) is a private, bilingual daycare centre in Vaasa. 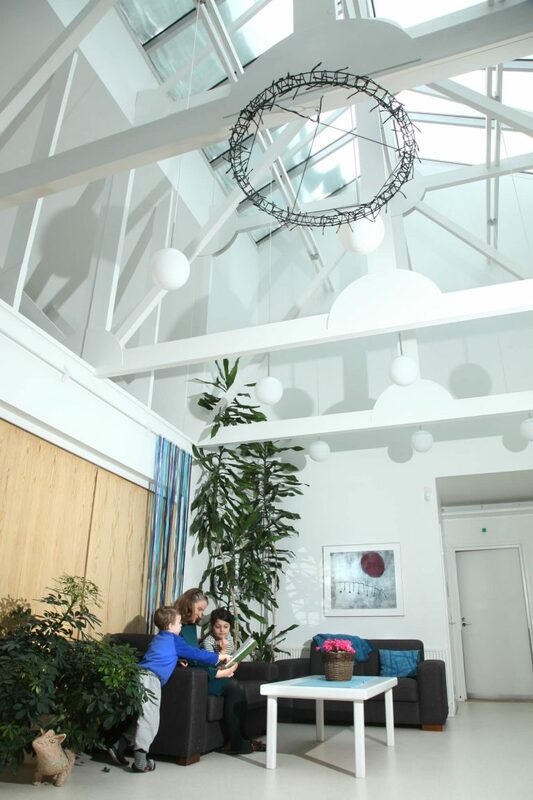 We have space for 120 children, who are placed in three different Swedish-speaking groups and three Finnish ones. The age divisions are 1 – 3 yrs, (2)3-5 yrs and 3-5 year-olds. Rantapääsky daycare centre was founded in 1973 and today it is located at Rantakatu 23. Our opening hours are 6.30 a.m. – 5 p.m. Monday – Friday. An average day at daycare involves many different types of activity. Besides exciting experiences, every day also includes routines, which are just as important for a small child. These are fixed times. In between, we have outdoor playtime, games and other led activities. The goal of early childhood education is to promote the balanced physical, mental and social development of each child. We emphasize the importance of a calm environment, which enables children to be creative and to learn. On our website, you can take a look at each of our departments and familiarize yourself with Rantapääsky.